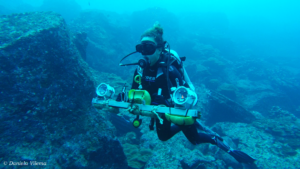 Using Stereo Baited Remote Underwater Videos (BRUVS) and Stereo Diver-Operated Videos (DOVS), the shark team at the Charles Darwin Foundation aims to understand the abundance and biomass of sharks and commercially important fish within the Galapagos Marine Reserve. Through these videos, we are also creating a baseline to assess the impact on sharks of a sanctuary declared in 2016 and to understand the impacts of Climate Change on these marine animals. 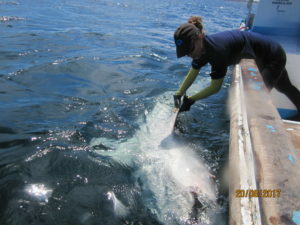 Additionally, the team at the Foundation uses telemetry to understand the movement patterns and habitat use of sharks. We want to know what role the ecosystems within the Reserve play in the life-history of sharks and how important sharks are for a healthy ecosystem in the Galapagos. More on the tiger shark tagging work here. 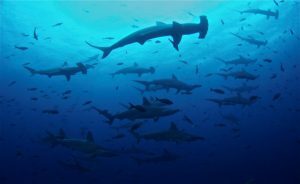 The shark project is led by Dr. Pelayo Salinas de Leon at the Charles Darwin Foundation in collaboration with the Galapgos National Park. 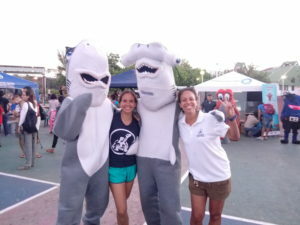 The Sharks Project at the Charles Darwin Foundation also includes environmental education and outreach. 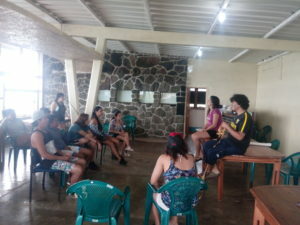 This program is led by Daniela Vilemaand aims to spread the knowledge we have on sharks, to promote the science we do, and to change negative preceptions of sharks within the community. Sharks Ambassadors is one of Dani’s current projects where we interact with local highschool kids so they learn about sharks and science. We aim to change their negative vision of sharks so they become ambassadors for shark conservation within their communities.